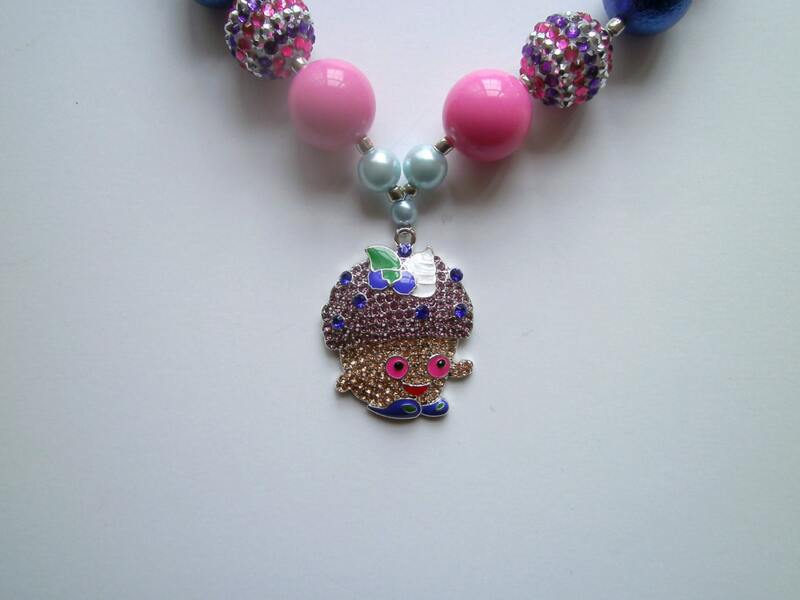 This is a great gift for your little girl, I used a shopskin rhinestone pendant, Cupcake Mini Muffin inspired by shopkins. The necklace is strung with beading wire and finished with clasp. 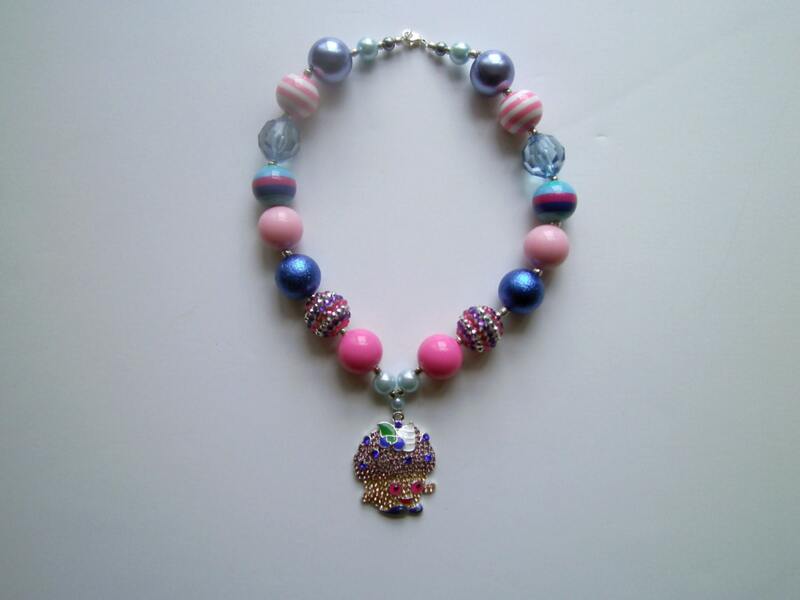 The necklace has shinny rhinestone,acrylic,pearl and resin bubblegum beads. This necklace would make a perfect gift for any occasion, photo prop or a great addition to any outfit. Each necklace is handcrafted by me, I make each necklace a little different so you are always getting one of a kind.